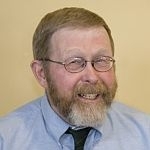 (HOST) Commentator Willem Lange recently returned to the Adirondacks, where he lived as a young man – fifty years ago. He says that quite a few things have changed. (LANGE) Fifty years ago, Tupper Lake was the apogee of a Saturday night orbit called "round the Horn." After a week in our village where nothing happened once the summer folks left, the weekends were pretty dull. So if anyone at the bar of the Spread Eagle Inn said, "Who wants to go ‘round the Horn?" several of us usually were game. It was unsafe, irresponsible, and – toward the end of the evening – illegal. I can no longer recommend it, but starting at the Spread Eagle, the orbit was counterclockwise: Elm Tree Inn in Keene; Handlebar in Lake Placid; Dewdrop Inn in Saranac Lake; then on to Tupper Lake. South through the bushes to Long Lake; east to Blue Ridge. North to Elizabethtown; and finally over Spruce Hill back to our home valley. This last bit terrified me, as we always tried to cover Spruce Hill’s tortuous ten miles in ten minutes. It took genius to do it in a 1957 Bel Air. A few people there remember an almost penniless young couple living in a $10-a-month apartment, with a baby on the way, and driving a Jaguar roadster. We left there on one below-zero winter day for another life, and have lived it for better or worse. This was where it began. We dined at the Spread Eagle, whose name and ambiance have changed. Very quiet. We went to bed early. Next day we drove to The Wild Center in Tupper Lake. Supported by generous lovers of the mountains, it depicts the natural history of the area, beginning with its emergence from the sea billions of years ago, through the Ice Ages, and up to modern times. There’s a tank of "heritage brook trout," the species the first settlers encountered. Otters swooped through a large aquarium hunting tiny trout the attendants toss in at feeding time. We watched a film describing the unbelievable changes wrought upon the region during the Ice Ages by a fluctuation in temperature of only nine degrees Fahrenheit. Our drive back to the valley was slower than our tours of half a century ago. We shared a drink at the Handlebar, whose current owners never knew its mustachioed founder. A bobsled racer, he always lit a cigarette at the start of each run. It burned to a stub by the finish, but in spite of our prayers, never set his mustache on fire. Ah, the memories! We fell asleep to the sound of the river, just as we did when we were kids wondering – as we still are – what’s coming next?